Harajuku girl with twintails hairstyle wearing a sailor top, striped socks, bow shoes, and a Japanese randoseru backpack. Shironuri makeup and handmade fashion featuring fast food t-shirts, McDonald’s food hats & french fry bag. Harajuku girl with pink hair in mesh, lace and ruffle fashion. 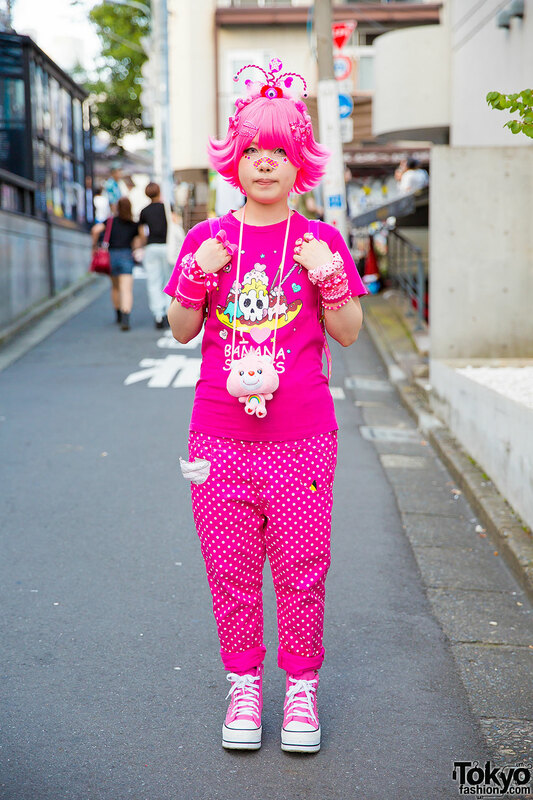 Harajuku girl in all pink with pink wig, contacts, t-shirt, accessories, polka dot pants, rhinestone sneakers and winged heart-shaped backpack. 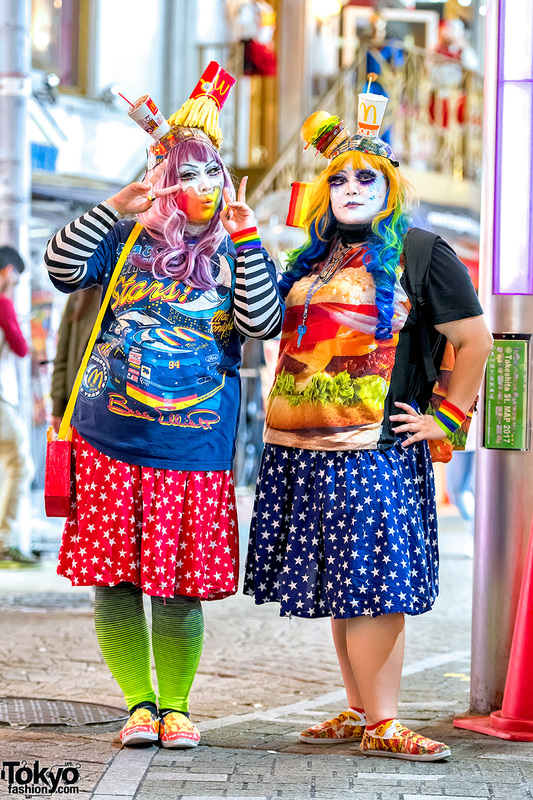 Harajuku girl with pastel hair wearing a cartoon print jacket over a negligee, colorful t-shirt with lace-up shorts, colorful bag and silver sandals with socks. Harajuku girl with red hair and outfit wearing a crop sweatshirt over a printed dress with striped socks, randoseru and tabi shoes. Harajuku girl with an anime-inspired pastel hairstyle, a manga print t-shirt, tulle skirt, striped socks, loafers, and plush backpack.